Almost everyone knows him and all those that do know him love him — Winnie the Pooh, the bear from the Hundred Acre Wood who is mad about honey. He's always on the hunt for something sweet, and his friends help him along the way. When Winnie sits at the table, the atmosphere is cosy and little ones can concentrate fully on eating. In terms of its shape, the cutlery reflects the bear's character. The "cuddly" handles are comfortable to hold.  Two powerful brands have joined forces in WMF and Walt Disney. The result of combining 125 years of experience in making cutlery for children and the heroes from Hollywood's dream factory is children's cutlery adorned with lovingly designed motifs to delight children everywhere.